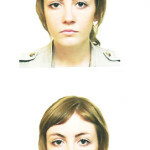 Taking a passport photo as an adult is hard enough – getting the right angle, keeping your eyes open, deciding on a photo that you’re happy to commit to for the next ten years. However, if you’re the parent of an infant, the idea of getting an acceptable passport photo of a temperamental newborn can seem like another level of difficulty. For very young children, you’re much more likely to get a useable shot if your child is lying down than if you try to sit them up. This is totally acceptable, but you still need to create a white background for the photo. The easiest way to do this is to lie your child down against a smooth white sheet. You might find it easier to keep your baby calm if you’re holding them or supporting their head. This is acceptable, but your hands can’t appear in the shot, so make sure you position yourself in a way that you can easily be cropped out without compromising the photo. A baby’s head still needs to take up around 80% of the photo to be acceptable in most countries. Just like an adult passport photo, only the head and the top of the shoulders should be visible in a classic portrait style. It might be the easiest way to keep your baby calm and quiet during the photography session, but a picture of a child with a pacifier in his or her mouth is unlikely to be accepted. If your baby has a favourite toy, holding it up behind the camera is a good way to keep them happy and looking in the right direction. You could also use the old trick of dangling a set of keys. In most countries, children under six don’t need to be looking directly at the camera as long as they’re facing in roughly the correct direction. Baby passport photos are only temporary, so don’t get too hung up on capturing the perfect image. If you get stressed, chances are your child will pick up on it, making the experience much more difficult than it needs to be. 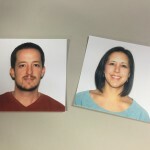 If you remember that a passport photo is just a means to an end and focus on hitting all the standard criteria, there’s no reason you can’t have a perfectly acceptable shot in a matter of minutes.